It could very easily be argued that in one night of riveting playoff basketball, the Mavericks found out that they need another long-term solution at Point Guard (let's hope the development of Devin Harris doesn't take long), while getting a performance from their current Point Guard that might have saved their season. Jason Terry had a concerning 5 turnovers and only 3 assists. The Point Guard play of the Mavericks has been well below par in this series from a ball distribution standpoint. Of course, he also had 32 points, including some of the most cold-blooded shots of his career. And he had to; Because Dirk Nowitzki, the man who has carried this franchise to enormous heights in the last several years cannot get going. The Mavericks won a game that they perhaps had no business winning on Saturday night, and now this series suddenly is right back to square one. They did what they had to do. They rose from the dead, when so many said they were done. You know who you are. And while we are identifying those who might want to enjoy a warm plate of crow tonight, how about we offer some to those Michael Finley critics. He was money tonight, and he was money on Thursday. I have received so many emails demanding that the torch be passed to Marquis Daniels (who by the way has been an inch above awful for about 60 days now), but it is now hopefully obvious to his critics that Finley has a few bullets left in his gun. The dude is a flat out leader on this team, and it wouldn’t hurt if the Mavericks fans would pay him a little respect. --Erick Dampier might have a basketball IQ lower than his shoe size. If you have been dealing with foul trouble the whole series, how do you commit your second foul at the opposing free-throw line 3 minutes into the game? And how do you commit your fourth foul 3 minutes into the second half after getting to the intermission with only 2? He has to be smarter. He cannot help them from the bench, and yet he is there as much as Pavel these days. --Nice to see the Rockets spares act like it tonight. T-Mac will not be slowed, but they cannot have Bob Sura and Jon Barry killing them. Tonight, the effect of the spares was quite minimal. --Speaking of T-Mac, he is so inside Dirk’s skull right now it is sick. I fear Dirk is lost in this series, and it is because he is trying to equal McGrady. If he shows up, the Mavs are easily through to round 2, but he is showing no signs of returning to his MVP status. --How far is Shawn Bradley in the doghouse? Far be it for me to call for more of the mantis, but he really needed a few minutes in the second quarter when Dampier and Henderson were sitting with foul trouble. But we can assume that Avery does not want to see him anymore. --Did McGrady’s poor performance in the fourth quarter happen because he was chasing Dirk all night? Van Gundy doesn’t think so, but you can only wonder why he was suddenly human as he went 1-5. There is no question that he bothers Dirk when he guards him, but they need his offense badly, that it is a quandary for his coach to deal with. --After Stackhouse missed his free throw, the Mavericks were perhaps given a game-saving gift from the refs on that Out of Bounds call. I am sure we will not protest the league on this apparent blown call. Edit 12:15am: OK, I have seen the replay now- Not a blown call at all. One major disadvantage of being at the game is only getting the replays that the Houston people want you to see. My Bad. Brilliant play by Howard. --One last thing: I'd like to thank Alan Henderson for demonstrating what a hard foul is. Well done. Was everyone paying attention? Shawn? How many big shots did this guy hit all season long? Do you think Van Gundy wanted Dirk to find Terry on this play? Above, find Yao Ming, perhaps the most frustrating player in basketball. Why does he insist of trying to draw charges against guys 18 inches smaller than him? You can’t help your team from the bench, chief. Saturday Morning in a Houston Hotel. Do I know how to party or what? I just completed wading through about 300 emails, and if you sent me one in the last week, assuming it wasn’t a 4-page essay on game 1, you should have a response by now. If it was an essay on Game 1, then consider it read and discarded. Anyway, today is a big day for the Mavs, but I think all that could be said has been said. Don’t forget, the mission is to win every game, but if they split the next two (in any order) they will still be a position to win this series. So, can we stop the knee jerking after every game? Of course not. It is the playoffs. Jen Floyd’s BaD Radio tribute …Thank you, Jen. The crazy thing about the NFL Draft is the rush to instantly evaluate a big bag of nothing. Above, Random Dukes of Hazzard publicity photo of the new movie…. HBO Signs Gervais for a series …. This series is on. After winning Game 3 in Houston last night, the Mavericks proved they would not go quietly into the night. And now, we shall see if this gut-check was a mirage, or whether they can come back from the supposed dead. Dirk showed up for 28. He was joined by Finley who finally joined the series with 20 points of his own including a crucial 3 when the Mavs were down in the fourth quarter. Devin Harris and Marquis Daniels provided a little bit of energy. Jerry Stackhouse remains a cold-blooded killer when he has the ball. But maybe the crucial coaching change of the night was when the Mavs were down 88-80 and getting killed in the paint by Yao Ming and his crew. Erick Dampier was inserted during a timeout, and the Mavs promptly went on a huge 20-0 run. Dampier paid his dividends by keying a number of stops with a presence in the middle. So, now, what happens next? I cannot wait to find out. Game 4 is going to be very, very difficult to win, but at least now the result is relevant. We shall see. By the way, I think Yao is phenomenal. He will no doubt win a ring in this league before long. But if I am a Rockets fan, I cannot tell you how annoyed I am that my 7’6 giant insists on trying to take charges against small players like Devin Harris and Josh Howard. He was too deep, and would get called for cheap fouls. If you are that big, just go up straight and change their shot. Now they lead 2-1 with Game 4 at Toyota Center on Saturday afternoon. No matter what happens then, the series took on a different feel in those shaky final minutes of Game 3. The Rockets finally looked vulnerable. Even in Game 2 when they momentarily came undone in the third quarter, they kept their composure and stayed close. They reverted to some bad habits Thursday. They were a step slow defensively. They allowed too many shots around the basket. At crunch time, the Mavericks were almost perfect. Michael Finley and Jason Terry threw in 3-pointers. Nowitzki scored inside and outside. If the Mavericks wondered if Nowitzki would show up in the series, they got their answer. He scored 28 in Game 3. The Rockets got 28 from McGrady, but he missed 13 of his 23 shots. Bob Sura almost single-handedly kept the Rockets in the game in the first half and had a brilliant performance with 21 points, 11 rebounds and six assists. In the end, though, the Rockets didn't have nearly enough. Jon Barry annoys me. Over celebrating spares generally do. He may have 7 Cy Young awards, but never wear a collared shirt with a T-Mac jersey. I have a 6:30 trip to the airport to get to Houston, so while I owe everyone a honest effort of blogging, I just can't do it. But, I believe in the Mavericks for some reason. I believe they will win Thursday in Houston, and I believe they will win the series in 7 games. Is there a basis for this prediction or am I simply allowing my heart to mess with my head? I guess we are about to find out. Dirk will have to lead them. I believe he will. They are not that bad. Houston is not that good. I know many of you have come to trust my methodical logic when it comes to sports. Forgive me this time as I pull for my boys to get it done. Dirk shall lead them back in this series. Or, I will look pretty foolish for still believing in them when very few have joined me. I am coming under a fair amount of fire for appearing to blame the plight of the Mavericks on poor Shawn Bradley. Well, allow me to clarify. 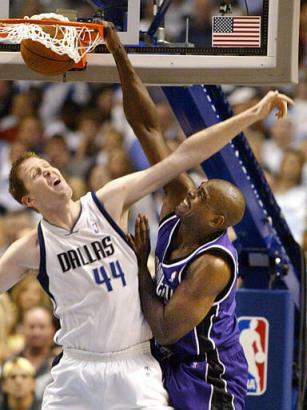 There is no way that the Mavericks are down 2-0 because of Shawn Bradley. That is absurd, partly because he doesn’t play enough minutes to affect the outcome of these two games. Dirk, Finley, Avery, Van Horn all should receive blame for this thing long before big Shawn. With that being said, if we can agree that he is not to blame for this series, could we at least agree that he is certainly responsible for the national image of the Mavericks being soft, white boys who can’t get it done? That seems fair. He has been dunked on more than anyone in the history of the league (I am estimating), and has never offered a hard foul on anyone. He is polite, meek, and a perfect gentleman, which is the complete and total opposite of what you want a big man to be in the NBA. I am sure he is a great guy, in fact, when Dan and I had him on our show, I almost felt guilty because I did find out what a nice dude he is. But there are all sorts of nice guys in this world. Nice guys do not make great basketball players. And my blame of Shawn is not about one isolated dunk from Monday night, although admittedly, that might have been the straw that broke the camel’s back. Think of it as more of a lifetime achievement award for years of shameless dunk receiving, and years of soft fouls as the other team celebrated while standing over a meek Shawn. Enough is Enough in my book. The Mavericks are down, two games to none, and they're smelling like last week's fish. They've had no answers for the Houston Rockets. No answers for Tracy McGrady, who apparently is the greatest basketball player of all time. No answers for Yao Ming, who's been as tough as Chinese arithmetic. No answers for -- good grief -- Ryan Bowen, the playoff series' secretary of defense. Heading to Houston for Game 3, is there one thing that the Mavericks have done better than the Rockets thus far? Clutch shooting? Points in the paint? Bench scoring? Anybody? The much-anticipated showdown of the superstars, McGrady and Dirk Nowitzki, has been no contest. McGrady has roamed at will for two nights, playing peek-a-boo behind Yao's high screens, ignoring timeouts, draining big shot after big shot. Dirk, meanwhile, hasn't even been the second-best player on the floor. He won't go inside. When double-teamed, he's had trouble getting the ball to the open man. And in Game 2, he showed no stomach for joining the fight by mixing in an occasional rebound. "I haven't really found my rhythm yet from the floor," Nowitzki reported after Monday's Game 2 loss. Shawn Bradley comes to town with the imprint of Tracy McGrady's No. 1 on the back of his head, the victim of the most heinous dunk you'll ever see. Dirk Nowitzki comes to town wondering if the next thing he'll have to hand over to Ryan Bowen is the set of keys to his favorite car, considering Bowen and friends already have taken everything else — Nowitzki's game, his confidence, his aura of being unstoppable. Mavericks big men Erick Dampier, Keith Van Horn and Bradley arrive with two fouls apiece. OK, not officially. But the way Yao Ming is working the paint and working them over, it won't take long. Down 2-0 in their opening-round playoff series with the Rockets, the Mavericks have issues, to say the least. They can't stop McGrady, can't ignite Nowitzki and can't match up with Yao. But here's their biggest problem. The one looking most sickly and unsure as the Mavs come to town is the one who is supposed to make it all better. Ahman Green arrested …Making all Packers fans proud…. Suggesting that the Mavericks are in a tough spot now is like suggesting Iraq is not a very appealing place to vacation right now. I cannot articulate all of the troubling trends that are in this series, because there are too many. I also cannot fathom this series turning on a dime in the Mavericks favor as this series moves to Houston. I would very much love to be wrong (it would not be the first time), but the Mavericks look like a confused bunch of guys who need their confidence back. Frankly, this is very bad. Dirk was mostly absent for the first 3 quarters last night. Finley looks really, really old. Bradley looks like Bradley. Avery looks like a coach in his first playoff series. This is very, very bad. It could all be over Saturday if they don’t find the team we watched all season quickly. Somewhere Steve Nash is smiling. Don Nelson is smirking. Now, the most disturbing question of them all; if they get bounced quickly this year, what would they possibly do this summer? Would they turn over their roster again? Would they make some trades? Would they try to acquire defense? I have an idea – say goodbye to Shawn Bradley once and for all. Above, Keith Van Horn watches T-Mac win another game. Nice D, Keith. Houston is expected to release veteran cornerback Aaron Glenn, perhaps as soon as today, according to published reports. Glenn became expendable when the Texans traded draft picks to Oakland for cornerback Phillip Buchanon last week. has three years remaining on his contract and was scheduled to earn $4 million this season. Three sources said the Cowboys would have interest in signing the 11-year veteran out of Texas A&M. His agent, Jimmy Sexton, who represents several Cowboys and coach Bill Parcells, could not be reached for comment. Glenn played for Parcells and secondary coach Todd Bowles with the Jets. 1) Dirk was just not very good; Tracy McGrady was amazing. I realize I have been a critic of T-Mac’s, and I will still suggest to you that he is much more “sizzle” than “steak”, but, that was one impressive start to the series. He not only proved unstoppable, but he also got his teammates involved plenty. His ability to find the open man and allow Mike James and Jon Barry to hit the critical shots down the stretch made this performance extra impressive. I think going forward the Mavs have to lay back, take away the drive and make him hit 3’s the whole series. Because in Game 1, he drove when he wanted and shot when he wanted. The Mavs gave him everything (or he took it) and there was no stopping him. 2) The Point Guard position was not in the Mavericks favor, and it should have been. I realize Steve Nash is no longer with them, but Jason Terry and Devin Harris need to be better than Bob Sura and Mike James. They were not. Not even close, as Terry and Dirk combined for 10 of the Mavericks 13 turnovers. Amazingly, they had more turnovers than Houston despite playing at home. 3) The High Scoring Mavs did not score more than 24 in any quarter. The Rockets, who might not have been properly respected when this thing started, had the 2nd best defensive FG% in the league and it showed Saturday. We can all rationalize this loss as the Mavs just not hitting their shots, but that is not giving the Rockets their proper credit. 4) Finley had 5 points, Van Horn had 5 points. That must improve. As for the Cowboys draft, I realize they did not attempt to fill all of their needs, but boy, it was clear what the strategy was, and it was also clear that they appear to have accomplished their mission pretty solidly. Well done. I can see trying to land 2 studs in the Front 7 on that defense, but you could make the case that after adding Ware and Spears, that they added two more in Burnett and Canty (if things go very well). Wow. I am not sure who your long-term answers are at Wide Receiver (especially in the deep threat category) or your Free Safety (although the kid in the 6th round looks intriguing) but they surely are now prepared to run a 3-4. I think they are one of the real big winners in the draft. And, now that you can consider Julius Jones, Marcus Spears and Sean Ryan the final haul in the J.P. Losman trade, I might suggest that Parcells and Jones look good when you score that Buffalo trade of 2004. Things are looking up in Cowboys land. And Finally, a thought or two on FC Dallas who won again this weekend. They really appear to be a powerful soccer team this season. 3 times in 2004 they were able to score 3 goals in a game. That hardly demonstrates power, but already in 2005, they have done it twice despite playing only 4 games. They have also scored 8 goals in those 4 games (3-0-1), which should be compared to last year’s scoring impaired squad who took until June 5th before they scored their 8th goal of the season. It is all about firepower. With Eddie Johnson, Carlos Ruiz, and Ronnie O’Brien, they have more firepower than anyone in the league (in theory). Now, it should be noted that they have played both expansion teams already, in fact that accounts for 6 of their 8 goals. But for once, it actually looks like Dallas is not playing with inferior talent. Now, they have 7 of their next 8 on the road, and we will find out if FC Dallas is the real deal. 1) If they are great this year, the MLS Cup is scheduled for Frisco in November, so there might as well be a local representative. 2) Enjoy Eddie Johnson while we can. After World Cup 2006, he is gone for Europe. That is a guarantee. Dallas A: Jimmy Johnson left the Cowboys after the 1993 season. With Jerry Jones running the draft room, the Cowboys have not carded an A for a draft since then. Until now. Jones and Bill Parcells engineered the best draft of the post-Johnson era, receiving one of three A's on the NFL grade card. And that A could become an A-plus a year down the road if defensive end Chris Canty recovers from an eye injury that could force him to spend the 2005 season on the sideline. Because of the injury, Canty was a Top 40 talent that slid to Dallas in the fourth round. The Cowboys had the best first day on this draft. Landing the speed of Demarcus Ware and the size of Marcus Spears was the dream scenario of Jerry Jones and Bill Parcells. The Dallas defensive front got bigger and faster overnight. Good players often come to those who don't trade down. Justin Beriault and Rob Petitti in the sixth round was a good way for the Cowboys to close the draft out. The second day is what makes a good draft great. For a change the Cowboys made some superb second-day draft picks in Canty, Beriault and Petitti. One of the best hauls for any team thanks to a significant upgrade on the defensive front seven. Demarcus Ware is a terrific attack linebacker, end Marcus Spears is a great fit in a 3-4 scheme and linebacker Kevin Burnett is a solid, steady player. Running back Marion Barber III is bigger than current Dallas back Julius Jones and is a nice complement. Safety Justin Beriault was a steal in the sixth round and defensive tackle Jay Ratliff is versatile enough to play in a 3-4 or 4-3, depending on what the team needs. Just when we thought Parcells had lost his once-Midas touch, just when we were convinced that, at age 63, he now prefers to nap through the draft, Parcells bellied up to the war room table Saturday and Sunday and drafted like a Hall of Fame coach. He took one of these and one of those. And one of this one and one of that. And when his draft seemed to be losing its steam Sunday, with three new defenders and a backup running back already in the fold, Parcells lifted his golden staff again -- actually, it may have been a 2-iron -- and parted the fourth round, picking a huge, talented defensive end from Virginia, who maybe would have gone in the first round had his head not gotten in the way of an oncoming glass bottle. Chris Canty -- 6-foot-7, 279 pounds -- had season-ending knee surgery last September and suffered a major eye injury just three months ago. But blessed are the patient. Parcells and the Cowboys waited, and they plucked Canty with the 132nd pick of the draft. Star Wars is all about Vader …. If you talk with people in the league I would love to see that list and maybe they could tell you there is more to a game than watching Wiconsin or Virginia tech on tv.or reading today's Dallas Moorning News Don't confuse YOUR pre draft conversations and prep work with Norms or Goose's. I told you I am assc scout for the Seahawks .Associate means just that.I contribute /scout this region for the team.I would be glad to show you my credential/Scout pass etc at any time or compare football knowledge at any level.I find it a tad immature and insecure for you to turn it to my credentials when you are the one who is on the radio being paid to give opinions on the draft. What a personal email address has to do with that I have no idea. Do you think Bill Parcells only email addy is BillParcells@DallasCowboys.com ? I went to UT 25 years ago so if I was Biased I would have loved your Derick Johnson comments.. again based soley on the college game. sure you should defend your paid performance on a topic. You are getting paid for your "expertise" so the bar is raised.If I was on the air I would expect insults and take them at my job without feeling the need to toss shots back at the listener.The Listeners crediblility actually means nothing , your does. When you work with the best draft coverage on the air, the bar is raised. They sent a boy to do a mnas job. It is a classic case of "Which one does not belong"
woud not want the pay cut.. However I would sit in your seat next year at this event and forego the paycheck for the day and we could compare listener feedback/ ratings etc. Strengths: Has terrific upside. Is big, strong, athletic, fast and tough. Is a terrific leader and a hard worker. Takes good angles to the ball carrier in the running game. Shows the ability to use his hands and to shed blocks in space. He gets through traffic well and shows burst when closing in on the ball carrier. He has excellent top-end speed and range versus the run. Is a powerful tackler with good short-area explosiveness. Is a smooth athlete in coverage. Shows the hips, instincts, quickness and speed to match up with most NFL backs man-to-man. Has excellent range in zone coverage. Gets consistent pressure when turned loose as a pass rusher. Shows good initial quickness, instincts and top-end speed when rushing the QB. Weaknesses: Durability is still a concern after 2002 knee injury. Recognition skills must improve. Takes too many false steps and reacts late too often, which takes away from his range. Got away with below average read-and-react skills in college because of his speed and athletic ability but he won't get away with it in the NFL. He has great athleticism in the passing game but hasn't always been a big playmaker in that area. Will knock a lot of passes down but doesn't have great ball skills and won't make many interceptions. He also is fast and instinctive as a pass rusher, but seems to lack ideal closing burst. Will get consistent pressure and hurry quarterbacks, but doesn't close quickly enough and fails to complete too many plays in that facet. Will have some trouble coming off of blocks when reached on the blitz. Doesn't have an array of pass rush moves and will get stuck too easily if reached. Overall: Burnett came to Tennessee as a free safety, but was moved to linebacker midway through his true freshman season in 2000. He started two games in 2001 and was set to become the Vols' fulltime starting "weakside" linebacker in 2002 before tearing his ACL, which required reconstructive knee surgery and cost him the entire 2002 season and 2003 spring practice. As a junior in 2003, Burnett started all 13 games and finished with 77.5 total tackles, 7.5 TFL and 1.5 sacks. Burnett made a wise decision to return for his senior season in 2004 because it gave him time to fully recover and regain his speed and explosiveness. He finished 2004 with 120 tackles, six TFL, one sack and one INT. Burnett is a terrific athlete with good size and even better speed. He is excellent in coverage, has very good range in run support, and also shows good burst when turned loose as a pass rusher. Burnett does still need to improve his recognition skills and has to cut down on the amount of false steps he takes. However, his size, athletic ability and speed make him an attractive NFL prospect. Burnett likely will contribute as a nickel linebacker and special teams player as a rookie in the NFL while he develops his read-and-react skills. However, he should quickly develop into a starting WLB for the team that drafts him and he could be a steal if he slips far into the second round due to the position he plays, the durability tag that comes with him and the talent that is ahead of him at the position. Strengths: Is versatile; has the potential to play DE and DT in a 4-3, as well as DE in a 3-4. He is stout versus the run and can be even stouter if he learns to play with more consistent leverage. His size and strength give him loads of potential as a perimeter run-stopper. Is a physical specimen with terrific quickness, agility and athleticism for his size. Is a better edge rusher than his 40-time would indicate. Lacks first-step quickness of elite undersized edge rushers but he shows very good anticipation skills and initial quickness for his size. He is powerful as a pass rusher and does a good job of knocking OT's back onto their heals. He changes directions well for his size and will use a lot of double moves back to the inside. He is very quick when rushing the passer from the inside. He also shows very good closing burst for such a massive defensive lineman. Has improved his run/pass recognition. Has adequate-to-good recognition skills now. Won't take himself out of many plays by getting too far upfield. Does a good job of finding the ball and reacting quickly. Will also do a good job of sniffing out the screen. He can be an explosive tackler when he lines it up. He has a nose for the ball. His motor is good and he won't quit on a play. Has developed into a much harder worker. Weaknesses: Is a little bit of a 'tweener DE/DT. Lacks ideal bulk and anchor to move inside fulltime, but also lacks speed as an edge rusher. He needs to improve his array of pass rush moves. Improved his technique and toughness as a senior but still has room to grow in both of those areas. Still tends to play too erect at times and loses his power when he does. Lets OL get into his pads too often when he wears down. Must continue to improve his hands and ability to disengage. Doesn't have good top-end speed for a DE prospect, so won't make as many plays from behind in pursuit. Also is just decent in terms of tackling consistency. Needs to show more leverage; tends to tackle too high. Overall: Spears was also a heavily recruited basketball star coming out of the high school level but elected to stick with football. He played on both sides of the ball as a true freshman in 2001 (FB, TE and DE), but moved to defense fulltime as a sophomore in 2002 and was LSU's starting LDE from that point on. Spears had eight sacks as a junior in 2003 but was still too inconsistent and didn't play with enough aggressiveness. He made a wise decision to return for his senior season in 2004 and he showed tremendous dedication during the offseason leading up to it. Spears struggled fighting through double teams early on as a senior but he continued to improve as the season progressed and finished with 17 TFL and nine sacks in 13 games. Spears doesn't have elite speed but he's an outstanding athlete for his size. He continues to improve his strength and he has become a much more physical and aggressive player. Spears also has a very good work ethic and has developed into a leader on and off the field. He grades out as a mid-first round draft pick and, if Spears continues to dedicate himself to improving his strength and toughness, he should emerge as a premier every-down starter in the NFL with the versatility to play inside and outside both in a 3-4 and a 4-3 scheme. Spears doesn't have the natural edge rushing explosiveness that some of the other top defensive ends in this class posses but he is one of the best all-around NFL prospect. Strengths: Is a fine athlete with a nose for the ball. Has very good initial quickness and top-end speed. Anticipates the snap count well and wins a lot of battles with his first-step quickness. Shows the ability to turn the corner with good body lean and explosiveness as an edge rusher. Shows good closing burst to the quarterback as a pass rusher. He is active and instinctive versus the run. He is at his best in space, plays with a high motor, and makes a lot of plays in pursuit from behind. Shows enough athleticism to make the move to "rush LB" in the NFL. Hips are smooth for his size and he has adequate COD skills and speed to occasionally drop in coverage. He also is a powerful tackler when he can line up his hit. Weaknesses: Is a 'tweener DE/OLB. He improved his bulk and has the frame to continue to still get bigger, but he remains vastly undersized at DE. Gets pushed around too much when reached. He must improve his overall bulk and lower body strength. He plays without leverage and allows too many blockers to get into his body. He also gets too far upfield at times and will take himself out of plays. Also needs to improve his consistency as a tackler. He has power, but misses too many open-field tackles. Overall: Ware dominated the lower Division IA collegiate competition his final three seasons at Troy, as he finished his sophomore season with 19.5 tackles for loss and nine sacks, his junior season in 2003 with 16 TFL and six sacks and his senior season in 2004 with 18 TFL and 10 sacks. Ware has bulked up to 253 pounds but he is still a 'tweener DE/OLB prospect that will either have to move to linebacker in the NFL or play a role as a situational pass rusher. In our opinion, Ware's best fit would be as a rush linebacker in a 3-4 scheme. Ware is somewhat unpolished and he needs to continue to get bigger and stronger. However, his athletic ability, top-end speed and flair for making the big play as a pass rusher and run-defender makes him an attractive prospect. With so many NFL teams currently playing or moving to at least a hybrid version of the 3-4 defensive scheme, it's conceivable for Ware to come off the board late in the first round. Cowboys: Don't Screw This Up! One thing we want to accomplish today on the radio show is to establish what exactly are our objectives for the Cowboys on Draft Day. This weekend, they have eight picks presently, with the odds being pretty good that they will trade to end up with even more. I am not sure I support the trade down in the first round, particularly because it only pays off if you hit on all of the picks you are able to accumulate. I am far more optimistic that you can find that great impact player at #11 than #29. So, if they want to know what I think, I greatly prefer they stay at #11 and #20 in the first round and grab 2 of the best players they have studied. That being said, what are the objectives? If I was making the picks, what holes do they most need to fill by this time on Monday? Allow me to rank the Top 5 needs of the Cowboys. 1) Pass Rush: This could be the OLB and it could be the DE, but the Cowboys have a drought that lasts almost a decade when it comes to getting a quality pass rush from their defense. Charles Haley has been gone a long time, and now it is imperative that they solve this once and for all, and not in the cheap way (Marcellus Wiley). Obviously, the hybrid player (Merriman or Ware) that can play both the OLB and DE further allows the Cowboys to play multiple fronts this year rather than marrying itself to the 4-3 or the 3-4. As much as I like Erasmus James and Marcus Spears, I prefer the hybrid player, and of them all I think I prefer Merriman to Ware because when I have watched Merriman, it is evident that in college at least, he was the emotional leader of his defense as well as being a big playmaker. No Ray Lewis, but still, if you are making the play and rallying the troops, that is very attractive. 2) WR Speed: There is no question that at #20, I grab one of the many talented Wide-outs in the first round. This team badly needs someone who can hit the home run, and with a QB that throws a fine deep ball, they presently count on the always-fragile Terry Glenn to stay healthy. Otherwise, they have Keyshawn and Quincy Morgan running 8-yard routes. They need players to stretch the defense, and that is why many mock drafts lean towards Mark Clayton or Troy Williamson. Williamson bothers me with his mediocre production at South Carolina, as he appears to be a combine star who ran well, but may need to develop route running skills and I can’t imagine Bill Parcells has the patience to deal with that. 3) Safety: Not positive I would spend a real high pick on a Free Safety, but that second rounder may be a pick that makes you ponder it. Roy Williams needs to be a Strong Safety full time, but I don’t think I can survive another season of Lynn Scott, Tony Dixon, and Keith Davis at FS. Before Roy was drafted, Darren Woodsen was always joined by a below average safety, then for 2002 and 2003 we had two decent safeties at the same time. But, with Woodsen not playing in 2004, it was back to one solid safety and one below average safety. Hopefully, this weekend will fix that. 4) Right Tackle: I wish Jacob Rogers offered some hope, but so far, if a fine tackle is available at the right pick, how do you not think about it? 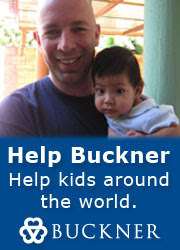 Torrin Tucker and Kurt Vollers cannot be the long-term solution. Neither was Solomon Page a few years ago. Basically, since they moved Larry Allen from tackle to guard, they have been short of quality tackles. Hopefully, they can address RT for quite a while. 5) Depth at RB and CB: Not sure I can go one way or the other as to which is more important, but surely 2 decent CB’s is not enough, and neither is asking Julius Jones to stay completely healthy for 16 weeks. You also don’t want Jones to have to carry the ball 30 times a game anymore, either. As for the Rockets-Mavericks series, as opposed to writing a long essay on why the Mavericks should win this series, allow me to cut to the chase: They are better. The Rockets have plenty of reasons to be proud, but in a 7-game series, the team with the bigger guns and better weapons tend to rise to the top by the end of the two weeks. When you cancel McGrady with Dirk, and then just size up one team’s remainders (Yao, Wesley, Sura) with the other team’s (Finley, Stackhouse, Howard, Terry, Van Horn, Dampier) you see why I feel like I do. Mavericks in 6. By the way, I might anticipate that this series will be tied at 1-1 and 2-2 before the Mavs win games 5 and 6 to advance. We shall see. 'We are working now, not just in the summer thinking about new players and possibilities in the future,' he said. 'We are confident in the future. Benitez added: 'We can only keep winning our next match and hope Everton make a mistake. London Theatre to show all 6 Star Wars movies on same day …I am there…. Tomorrow, I promise a Rockets-Mavericks preview on the blog, but today, I must make it short and sweet. "I don't know how much we have left in the tank for the playoffs," Van Gundy said. "Sometimes we won this season because we were just more ready than the other team. Our guys were more professional. They may not have felt good, they may have been beat up, but they just dug it out. "They've put in the preparation for a long time now. When we were 6-11 and then 16-17, when we were scratching and clawing to get to .500, our guys were putting the work in. All of a sudden you look up and it's clicking. That's pretty special. That doesn't happen much. •As originally expected, Nix and Matthews will split time in center field. Nix, who had three hits and three RBIs in his debut Wednesday, will face mostly right-handed pitchers. Matthews will move back to the fourth outfielder role the Rangers expected him to fill. Matthews was just 2-for-13 against right-handers, and when the Rangers gave him time off, they struggled to find a replacement center fielder. Nix hit .333 at Triple-A Oklahoma after his surprising end-of-spring demotion. He was 6-for-14 in the last five games, with two homers, a double and a triple. Perhaps most impressively, he had nine walks to only six strikeouts. Showalter acknowledged the walk-to-strikeout ratio played a part in Nix's return. "I went where I was supposed to go and did what I was asked to do to the best of my ability," Nix said. "I tried to let the ball travel more to me and to be patient." •Mench will become the everyday left fielder. After hitting 26 homers last year, Mench had started only 10 of the team's first 15 games because Showalter had to juggle several players for two spots. Perhaps because he was in and out of the lineup, Mench entered Wednesday hitting only .205 with no homers. •Dellucci, who began Wednesday tied for the AL lead in walks, will be the regular DH. Though he entered the game with a .526 on-base percentage, he had appeared in only 10 of the Rangers first 15 games. •Gonzalez will try to figure out what he must do to stay in the majors. The Rangers couldn't point to any one deficiency in his game. He had a 1-for-12 stretch over the last three starts; he appeared in nine of the first 15 games. Gonzalez has to be wondering what he did wrong. It really is a raw deal for him that he can win the job over 6 weeks in spring training, only to be demoted after going 1-12. Hopefully, he keeps his head up, because he can really play. Part 8 of 8! The NFC East is last, so here it is. The draft is nigh upon us. Lost S Darren Woodsen will Move Roy Williams to SS full time? Will they run 3-4 or 4-3? First, he pitched great for 7 innings in Seattle and got a “no decision” because of lack of run support. Then, he pitched another wonderful start last Thursday, only to be out-done by Roy Halladay in a 2-1 loss to Toronto. But, yesterday, he got some help. Not much, but enough as he shut down the Oakland A’s in a crucial win for the Rangers as Pedro Astacio threw 8 innings of shutout baseball, and the Rangers won 3-0. So, 3 starts for Astacio = 3 quality starts. This may not be the biggest surprise across baseball in the early going of 2005, but it has to be right up there. 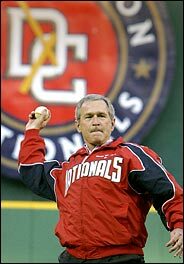 After having 1 start in 2004, many (including yours truly) thought that he was done. When the Rangers announced his signing in February, I yawned with indifference. But you could not ask any more of Randy Johnson in his prime. He has been awesome. Since it is a one-year deal, we should keep in mind the objective with Astacio all along; trade bait. Well, if he can throw out a couple months of pitching that resembles these first 3 starts in any way, the Rangers should be able to hold an auction of pretty enormous proportions in about 10 weeks. Astacio, again showing he is healthy and his shoulder is strong, is pitching much better for the Rangers than he did in his abbreviated stint with the Red Sox. He held the Athletics to six hits and one walk, while striking out four. This was only his first victory, but he has a 1.64 ERA after three starts. "He's had three really good starts," Rangers manager Buck Showalter said. "His makeup and personality are bargains in themselves. When he's healthy, he's shown he can do this." You may want to amuse yourself by clicking on the statistical leaders in the American League . Scroll down to ERA and find Astacio right there. Of course, also find two pitchers who were anonymous at the start of the season, but shut down the Rangers bats within the last few days, too. Laynce Nix called up …Adrian Gonzalez going down? Transactions: Texas called up center fielder Laynce Nix, who was a game-time scratch from the RedHawks' No. 7 batting order spot. Paying a hefty price for a short-term gain, the Redskins acquired the No. 25 overall pick from the Denver Broncos. In exchange, Washington gave up its third-round selection (No. 76 overall) in this year's draft and picks in the first and fourth rounds in 2006. The trade allows the Redskins to take care of both of their most pressing needs -- cornerback and receiver -- in one afternoon. Washington holds the ninth and 25th picks, with the flexibility to trade up or down to get the players the team has targeted. The Raiders traded disgruntled cornerback Phillip Buchanon to the Houston Texans for two draft picks Tuesday, nearly four months after he publicly ridiculed the franchise with no warning leading into the final game. An NFL source with knowledge of the deal, speaking on condition of anonymity, said Oakland would receive a second-round and third-round pick in this weekend's NFL draft. Tracy McGrady pretended he had forgot. He pretended he had never said anything stupid or controversial during his last trip to the playoffs. But Jon Barry wouldn't let him get off that easy. Barry was more than willing to remind everyone how McGrady announced he had reached the second round of the 2002-03 playoffs despite still being one victory away. Barry was with Detroit at the time and said McGrady's words were quickly passed around the Pistons' locker room. "(Orlando) got up 3-1, and he said, 'It feels good to get in the second round,' " Barry said. "And it was a seven-game series. They proceeded to lose by 20 in the last three games, and we moved on. He's heard about it from me a few times." Sports By Brooks grabs another BaD Radio bit …And we were Fark’d again! As the Washington Nationals took to the field Thursday night, they played in a city where nearly six in 10 people are African-American. And they played in a neighborhood where that percentage is even greater. But if you look around, few fans are African-American, and the same is true of the players. In the NBA, 78 percent of the players are African-American. In the NFL, it's 64 percent. In Major League Baseball, however, just 9 percent of the players are non-Hispanic American blacks. There are two teams that have no African-American players on their active rosters: The Baltimore Orioles and the Houston Astros. Just a note to what you were discussing with Coach Ortegal, Stackhouse is actually under contract for the next two years at a pretty reasonable rate of $7.5 million and $8 million. I think the Mavs definitely need to keep him around with Finley's decline and Daniels slide this season causing them both to be somewhat question marks as the Mavs move forward. Van Horn and Terry both will be free agents after next season so the Mavs have another year to decide what they want to do with them long term. The only players who are free agents after this season are Armstrong and Henderson. Mel Kiper, above, is one of the many draft experts floating around every year about this time making big bucks by attempting to read the minds of the 32 teams in the NFL. Is he as good as ESPN builds him up to be? His Web site offers this ambiguous claim: "Mel's in-depth knowledge … has enabled him to accurately predict as much as 80 percent of first-round draft selections." Translation: At some point in the last two decades, 80 percent of the players Kiper thought would be drafted in the first round were drafted in the first round—never mind by what team or with which pick. Last year, Kiper didn't quite match that mark, but he still correctly predicted 77 percent of "first-round draft selections." But when you look at his mock draft on a pick-by-pick basis—i.e., how he matched specific players with specific teams or, at least, specific picks—Kiper's batting average slipped to a dismal 29 percent. A few picks weren't even close. Three players he thought would be first-rounders fell more than 30 picks, and one, Georgia Tech wide receiver Dez White, fell 47 picks. Mel thought these players deserved to be first-round picks. The problem is, no NFL team agreed. It's Kiper's recurring fault: He substitutes his own rankings, which carry little weight, for in-depth reporting. And because he attempts only to understand the draft on his own terms, he doesn't understand it at all. Big Changes in the NFL Television scene …. With deals already made with CBS, Fox and DirecTV, the N.F.L. will receive $3.7 billion annually starting in 2006, up from the $2.4 billion it receives on average from its current television contracts, which expire after this season. The longest deal was made with ESPN, for eight years. No decision has been made about whether ESPN will keep its announcing team of Mike Patrick, Joe Theismann and Paul Maguire, or bring over the ABC team of Al Michaels and John Madden. Both networks are owned by the Walt Disney Company. "I'm still digesting this," said Mr. Michaels, whose contract at ABC expires after the 2005-6 National Basketball Association season. "All I know is that there will be no letdown this year." Under the new contracts, Monday night games will start at 8:40 p.m. Eastern, and the Sunday night games will start at 8:15 p.m.
Williams and Brown are expected to be among the first 10 names called in the draft, unprecedented since the first combined AFL-NFL draft in 1967. Two running backs from the same school have shared first-round status only three times during that span and none since 1987, when Texas A&M's Roger Vick and Rod Bernstine were chosen late in the opening round. Brown is expected to once again play second fiddle -- only not to Williams. He's expected to be the second overall pick by the Miami Dolphins. Yep, Auburn's No. 2 tailback could be the NFL's No. 2 pick. Feature on Big Dirk …. My Intention is to talk Dirk for MVP. The reason I chose you as a release to my frustration, is because I find you as my sports-conscience, which is a gay way of saying I value your sports opinions. It bugs me that all the national sports pundits that plague my tele are so quick to proclaim Dirk as having an MVP year, yet none are willing to give him the nod for MVP.Today Hubie Brown(abc) didn't even have him as a top five candidate(Ray Allen over Dirk...good god). Instead Nash is the new media darling. Of course the reason is his impact on the Suns, my argument is that a handful of guys would have that same impact. Billups, Bibby, Kidd, hell even Boykins would have that team on the right track. So Nash leads the league in assists, if he did that two yrs ago, or at any point with the Mavs would the outcry be so great...I think not. And can you really be an MVP if the team you left gets better in your absense ??? So that leaves the only other candidate...Shaq(If Dans Cavs didn't collapse, Lebron would be legit). I wont bore you(as if you weren't already) with numbers. I'm sure you can look them up, but I will say Dirk is the ONLY player to finish in top ten in both rebs and pts per game this year. One of only five players currently in the NBA to ever do that, 3 of which won MVP. So we are back to value or importance. Take Dirk off this team, and I think they are worse than Phoenix last year (Stoudamire, Marion, Johnson, and Richardson), or the Lakers are this year who still have Odom and...oh yeah Kobe. Plus, If I'm not mistaken didn't the Heat have an exciting playoff run last year. Sure Shaq is dominate and there is no other player like him in the league, but name me another player on Dirks level who can do what he does. I just think that when you have two players of equal or close importance, shouldn't the nod go to the player having the best year. This year more than ever with all the injuries, new players, new coweches(love avery), loss of best buddy, who has been more valuable than Dirk ??? 50 + wins in five years, only constant in those five years has been Dirk, hasn't he payed his dues? As goofy as it is for Hubie to not list him in his Top 5, I still cannot sell Dirk-for-MVP over Shaq. I think Dirk and Nash have a good argument for 2nd place, but Shaq is the MVP in my world. Racing can be a lot of fun. Unless, someone has a car that dominates the race so much that everyone else is “racing for 2nd place”. Such was the case at TMS yesterday as 200,000 fans watched in amazement as Gregg Biffle said good-bye to the field and won the 500-mile race easily. I attended this race, and had a great time. I challenge anyone who is not familiar with racing to attend one race with an open mind. If, after attending the event, the rolling thunder and spectacle of it all is not enough to convince you that racing has something, then be on your way. But, I took this challenge about 11 years ago, and have since been convinced that I would always attend a Nextel Cup Race when given the chance. In fact, next on my agenda will be November, right back at TMS. Being a Jeff Gordon Fan, it was a tough day for my rooting interests, but I did take particular delight that Dale Earnhardt, Jr. did not have that great a day either. I really have no beef with Dale, Jr., but rather his fans (not all of them, I am sure) who appear to be as hate-filled and arrogant as any group of fans I have come across since my last trip to Philadelphia. Why does cheering for a sports team/individual have to be grounds for a fight with some people? Where is the love? Oh well. Mavs beat Lakers …Can we please get on with the playoffs? Steinbrenner growled that he was "bitterly disappointed" by the Yankees' "lack of performance." He said it was "unbelievable to me that the highest-paid team in baseball," with a payroll of nearly $200 million, would be in such a "deep funk" through two weeks of the season. He charged that his team was "not playing like true Yankees," whichever true Yankees may be left on a team that he retools each off-season with multimillionaire free agents. He ranted that "they have the talent to win and they are not winning," but that he expected Joe Torre (now in his 10th season as the manager), the coaches and the players to "turn this around." He didn't add the phrase, "they'd better," but he might as well have. Once considered by some league insiders as a guy who could crack into the top ten, we've heard from multiple sources that Maryland "tweener" Shawne Merriman is sliding down many teams' boards. Merriman, a defensive end/linebacker, is seen by some as inconsistent, and as a guy whose workout stats don't supersede flaws revealed in his game films. Some even think that Merriman could end up sliding completely out of the first round. This may come as a shock to some people, OK most people. Even though they are both from the Miami area, both talkative, and play the same position (and very well I might add), Antrel and Samari Rolle are NOT related. I know, hard to believe – although the have become acquainted to share their mutual amusement over the universal assumption. Texas linebacker Derrick Johnson could be the impact player the Browns need to power their conversion to the 3-4 defense. Johnson, the top-rated defensive player in the draft, is one the Browns are considering with the No. 3 overall pick. Earlier this week, Browns Director of Player Personnel Bill Rees said outside linebacker is "the critical position" in the 3-4 scheme. "[Outside linebacker] is where you want your playmakers," he said. "Derrick plays inside but can rush off the edge. He can play outside and put pressure on the quarterback." But if Hidalgo hits like he did last season, the Rangers are going to have a hard team competing, and are going to need to look for some sort of upgrade out there. Pittsburgh's Matt Lawton is a right fielder who is a prime candidate to be dealt by the trade deadline, and who would be a nice player for the Rangers to plug into the leadoff spot in the lineup, if the cost isn't too high. Career Low: Agreeing to a flat fee for Star Wars – unlike many of the film’s other stars who negotiated a percentage of the box office receipts. This is part 7 of 8-part series as I gear up for Next Saturday's NFL Draft. I try to give a depiction of each team's present situation and try to summarize their primary needs. Enjoy. Pick #7 : Troy Williamson? Mike Williams? 24th Pick: Dan Cody OU? Defense better than numbers suggest. Mike Brown missed 14 games last year. Halladay left the Rangers shaking their heads in admiration after he outdueled Astacio with a complete game for the Toronto Blue Jays in a 2-1 victory before 19,366 fans. "That's as good as I've seen him," Rangers shortstop Michael Young said after Halladay put a stop to his nine-game hitting streak. "He was tough," Rangers catcher Rod Barajas said. "You got a guy who is throwing 92-94 [mph] and his ball is moving away from you, in on you, and he has a great curveball. He was on his A game. When a guy who won the Cy Young Award two years ago is on his A game, he's going to do this to you." The Rangers did have a couple of chances to get to Halladay but went 1-for-8 with runners in scoring position. Those chances were also limited to just three innings. The Rangers went three-up, three-down six times. Halladay entered the game with a career record of 2-4 against the Rangers and his 7.21 ERA against them was his highest against any American League opponent. He also had a 9.12 ERA at Ameriquest Field, his highest at any major league park. "In the past, the biggest problem for me has been execution against this team," Halladay said. "They have some hitters in the middle of their lineup that you can't miss with. It was better today." Dallas, Texas-Starting Sunday, April 17th, at the Cinemark Legacy theater in Plano, local club DFW FanForce will kick off their charity line up for the last chapter in the STAR WARS saga. Beginning at 2:00 p.m., Peter Mayhew, the actor who portrayed the beloved Wookiee Chewbacca in four of the six films, including Episode III, will be making an appearance to spend an afternoon with fans. 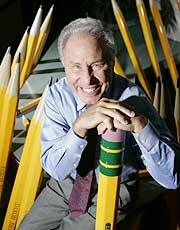 Proof that Orel is a genius? -D Erstad struck out swinging. -J DaVanon grounded out to second. -V Guerrero flied out to center. -G Anderson struck out looking. -S Finley struck out swinging. -O Cabrera struck out swinging. -B Molina flied out to right. -M Izturis struck out looking. -C Figgins homered to right. -J DaVanon flied out to left. -V Guerrero grounded out to third. -G Anderson grounded out to second. -S Finley flied out to right. -O Cabrera doubled to deep right center. -B Molina grounded into fielder's choice to pitcher, O Cabrera out at third. -M Izturis grounded out to first. -C Figgins flied out to right. -J DaVanon grounded out to first, D Erstad to second. -G Anderson grounded out to first. -S Finley singled to center. -O Cabrera doubled to right, S Finley to third. -B Molina doubled to deep right, S Finley and O Cabrera scored. -M Izturis grounded out to second, B Molina to third. -R Mahay relieved C Park. -C Figgins struck out swinging. Of course, with the exception of last August’s start against the Twins, they were all in unimportant situations. Last night was not. That was a very important win to keep the Angels from sweeping the Rangers in Arlington. Well done, for once. Did you see ESPN’s graphic comparing Nelson’s Mavs to AJ’s Mavs? And now must tangle with Chelsea …. Those other teams sure stink!